I’m Ready To Get quilting! I’ve just gotten home from dinner, and now I’m ready to pound this quilt out! 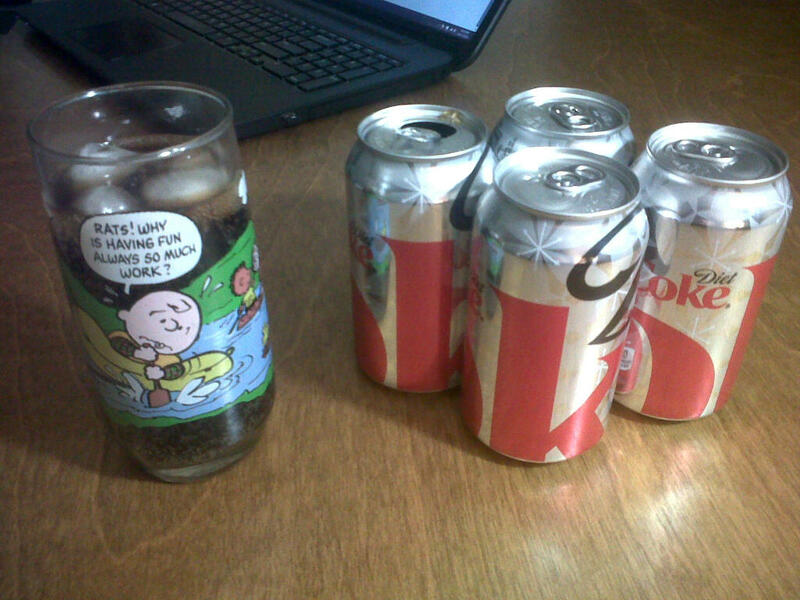 I’ve got my Camp Snoopy Glass, and 4 cans of diet coke! I can do it!